When visiting Ohio’s Amish Country, one often thinks of rolling farmland, locally-made cheese, and family-style meals. What probably doesn’t come to mind is a curated, outdoor art collection in the beauty of a wooded hillside. 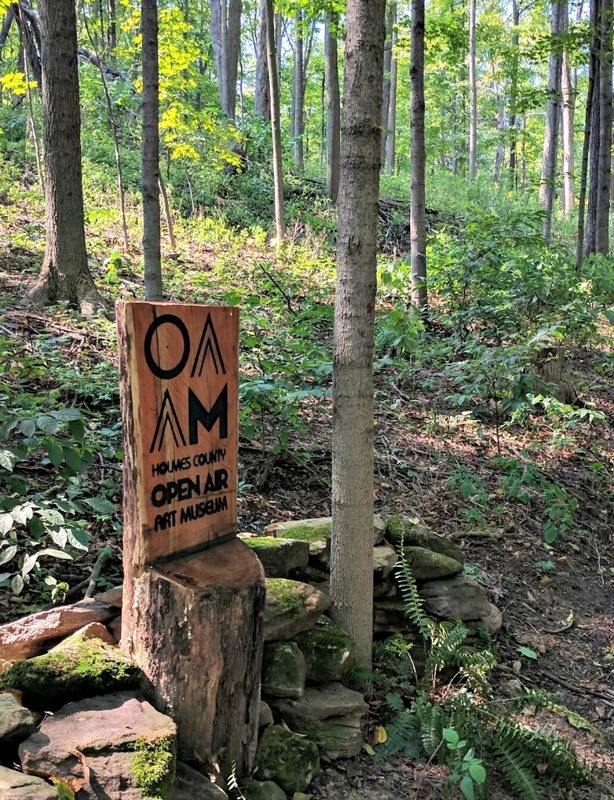 The Holmes County Open Air Art Museum is a must-visit attraction for anyone hoping to enjoy a woodland hike with plenty of contemplative art within the middle of the World’s Largest Amish population. The Holmes County Open Air Art Museum is located in Millersburg, Ohio, on the grounds of the Inn at Honey Run. A popular destination for travelers from all over the country, the Inn at Honey Run is best known for its Honeycomb Suites & Tarragon Restaurant. Thankfully, you don’t have to be a guest of the Inn at Honey Run in order to enjoy the Open Air Art Museum – the outdoor museum is open to the public. When arriving at the Inn at Honey Run, you’ll want to step inside the lobby and ask the hotel reception for a trail map. The trailhead is a short walk from the hotel entrance. After an ascent you’ll notice the tall, Being Time, a natural elements cuckoo clock by Columbus artist, Katherine Marie. The cuckoo clock is a reminder of the German heritage in Holmes County. Next, you’ll come upon my family’s favorite piece, Face of the Nations. 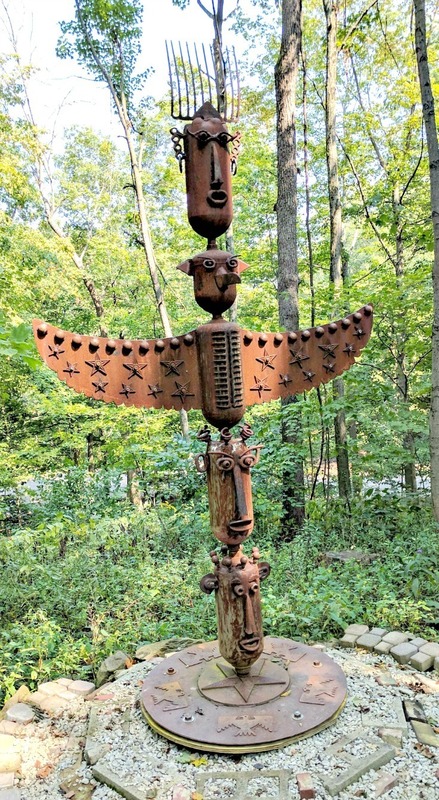 This totem-style artwork with various faces made out of recycled metals. My children love to stand here and giggle at the “funny faces” as they call them. 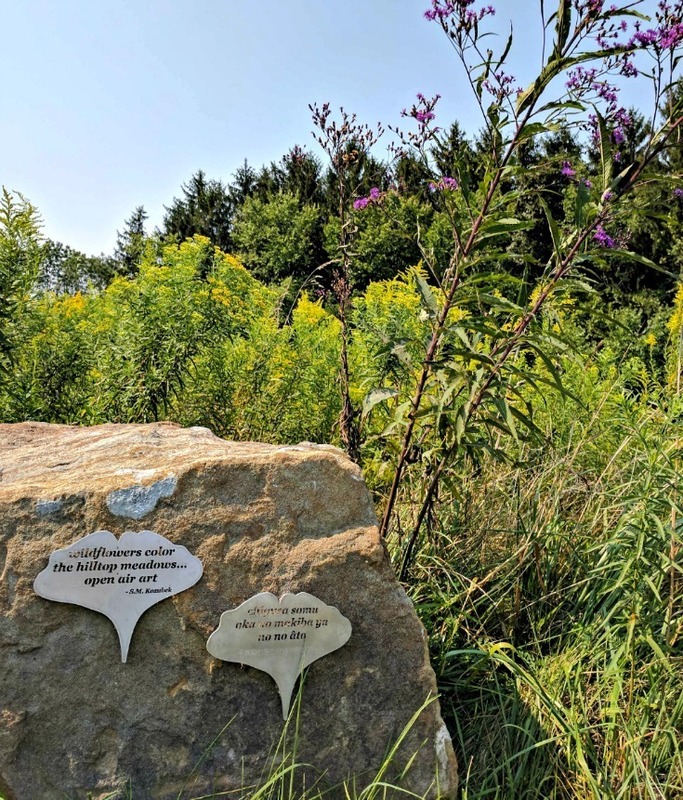 Throughout the 1.5 mile trail there are numerous boulders with haiku poetry attached. The poem is written in English and Japanese. When traveling with children, these add to the entertainment value of the Outdoor Art Museum. For adults, these set a picture for the scenery, as the haiku relates to outdoor elements and seasonal changes. One of the earliest pieces at Holmes County’s Open Air Art Museum was the piece, Woven, by Walter Hermann. Our first visit to the OAAM was in the spring of 2016 and I enjoyed seeing how this piece has evolved since then. Woven is made of sticks and twigs found entirely on the grounds of the Inn at Honey Run. You’ll have to see it to believe it, a massive arch of sticks made without the use of glue or nail. Further down the trail you’ll find the latest addition, Archer’s Roost, made of 12,000 paint sticks! This is such a fun piece for all ages. Our children liked listening to the noise that the paint sticks make while blowing in the breeze. In my head, I was contemplating how someone had the patience to zip-tie that many paint sticks! Ha! The joy of walking through a tunnel of sticks while in the forest isn’t lost any age and reminded me how art can not just be aesthetically pleasing, but fun, too. As the trails winds back down the hillside, you may catch the latest artist-in-residence working on a 90-foot mural. The new piece, by Mandi Caskey, will be called Chance Medley. A mixed-media piece containing images of sharks, I’ll be sure to visit at completion and see how Caskey’s work adds to the Open Air Museum. 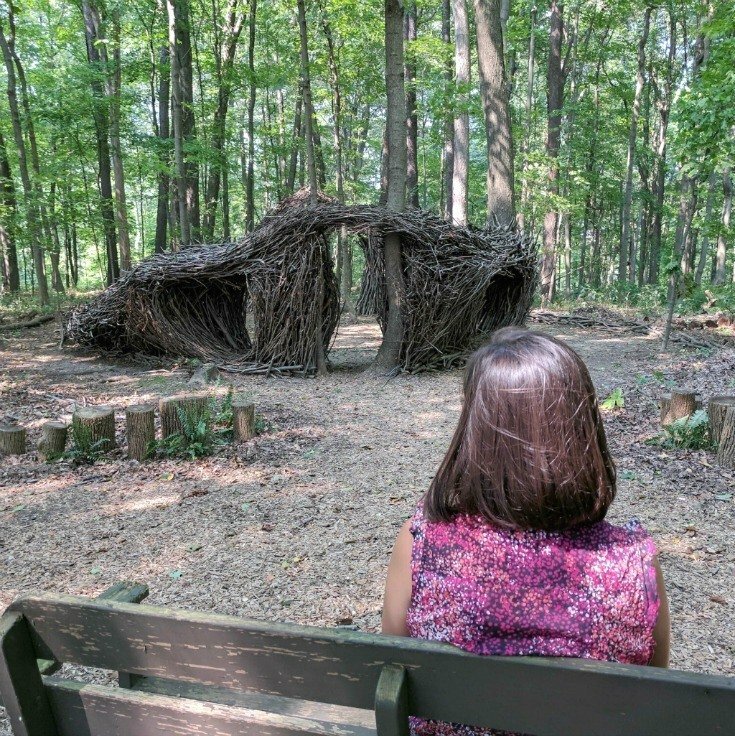 Holmes County, Ohio is already a destination for travelers from around the world, and the Holmes County Open Air Art Museum only adds to the appeal. It successfully combines the beauty of nature with the love of art! Holmes County Open Air Art Museum is located right next to the Inn at Honey Run on County Rd. 203, Millersburg. The path for the Outdoor Art Museum is of moderate difficult due to the hillside. It is not stroller or wheelchair accessible. There are a few benches throughout the 1.5 mile trail. Bring a water bottle! 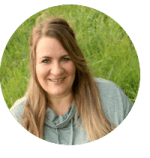 Leah Yoder is the face behind Yoder Toter Blog. A high school exchange student to Australia, Leah was paid by her hometown newspaper to share her journeys. It was this experience that birthed in her a deep love for travel- and a knack for writing. 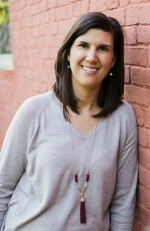 Before she was a stay-at-home mom to her three children, she worked as a travel agent. Check out her blog for more on family & couples budget travel. © 2017, Contributor. All rights reserved. What a neat place! I want to go to Cleveland and Hocking Hills sometime. Maybe I can squeeze in a visit here during that same trip! That would be a fun trip to make, April! Though each destination is certainly worthy of a trip on its own. 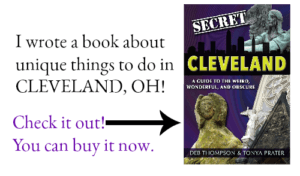 Hocking Hills and Amish Country are very popular- and of course Cleveland is too. What a great way to experience the art. I haven’t seen this kind of display ever, but I know Id love to walk through.